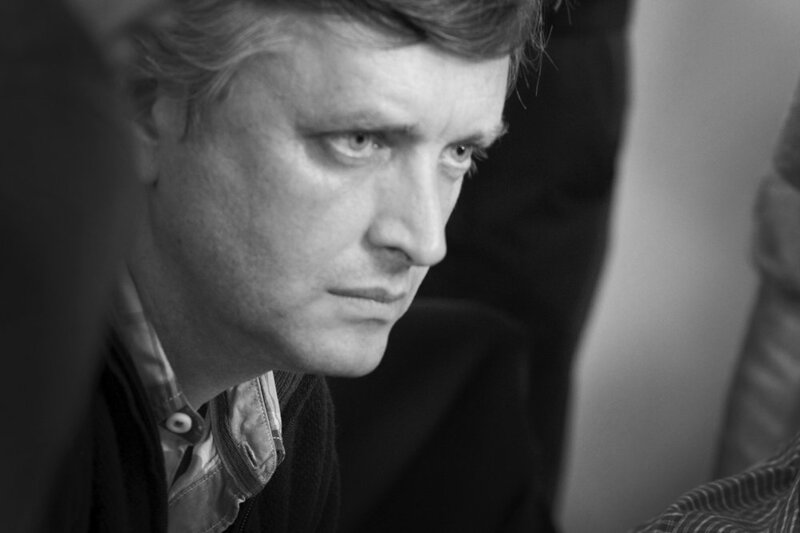 Ukrainian filmmaker Sergei Loznitsa was born on September 5th 1964. He grew up in Kiev, and in 1987 graduated from the Kiev Polytechnic with a degree in Applied Mathematics. Between 1987 and 1991 Sergei worked as a scientist at the Kiev Institute of Cybernetics, specializing in artificial intelligence research. He also worked as a translator specialized in Japanese. In 1997 Loznitsa graduated from the Russian State Institute of Cinematography (VGIK) in Moscow, where he studied feature filmmaking. Sergei Loznitsa has been making documentary films since 1996, and has directed 16 since he started his career. He has received numerous international awards, including festival prizes in Karlovy Vary, Leipzig, Oberhausen, Krakow, Paris, Madrid, Toronto, Jerusalem, St-Petersburg, as well as the Russian National Film awards “Nika” and “Laurel”. Sergei Loznitsa’s montage film Blockade (2005) is based on the archive footage of besieged Leningrad. Loznitsa’s feature debut My Joy (2010) premiered in the main competition at the Festival de Cannes, and was followed by In the Fog, which premiered in the competition of the 65th Festival de Cannes in May 2012, where it was awarded FIPRESCI prize. In 2013 Sergei Loznitsa launched a film production and distribution company ATOMS & VOID. Sergei continues to work in both documentary and feature genres. His feature length documentary Maidan, dedicated to the revolution in Ukraine, was premiered at the Festival de Cannes 2014. His two last movies, A Gentle Creature and Donbass, were rewarded at the Festival de Cannes 2017 and 2018.